Serves 2, 297kcal per serving. Cook the noodles as directed, and drain. Meanwhile, put the stock, onion, garlic and ginger in a large, non-stick frying pan or wok and cook until softened. Add the scallops and cook for 2 mins each side, then remove and cover to keep warm. Add the rest of the vegetables, the cashews and the soy sauce, and stir-fry for 3-4 mins. 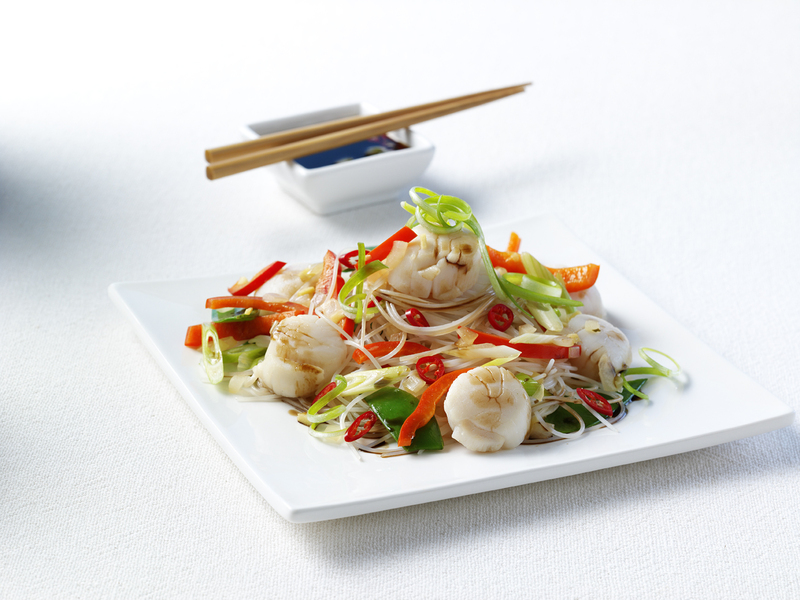 Serve on a bed noodles, topped with the scallops and garnished with the chilli coriander.